Massage articles and information to help you learn more about how massage works and why it works. It really can be used for many things like back/neck pain and also much more serious injuries like herniated discs and fibromyalgia. Your First Massage ! Never had a massage before? Start here! It can be a little nerve-racking to get a massage from a stranger, but once you do, it won't be your last! 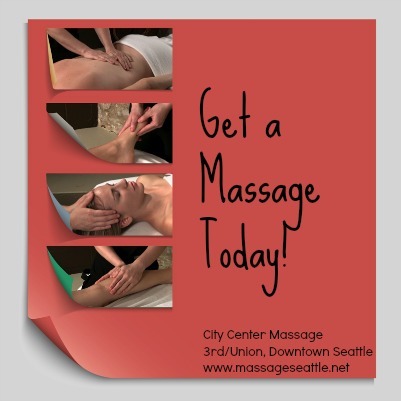 Benefits of Massage- What can massage really do? Find out more! It is more than you might think! Fibroymalgia and Massage - This debilitating and often misunderstood condition is really a neurological condition and most symptoms can be greatly reduced with getting regular massage. Massage for Carpal Tunnel Syndrome/Wrist/Hand pain. With so many people working on computers, texting on mobile phones/tablets, our hands/forearms are taking all of the stress. It really is a matter of keeping the muscles from tensing up and also strengthening them for optimal use. Massage for Depression/Anxiety! Massage can help with depression! The stress response system is what massage really is all about. Having a healthy stress response system is what is needed for you to be able to act rather than react as a result of stress. TMJ/TMD and massage- temporalmadibular problems (jaw pain) is usually only a symptom of another problem such as stress or misalignment of the body. Heel pain (or plantar fasciitis) - Heel pain is one of the toughest conditions to deal with because you are always on your feet. Getting regular massage can help clear up this condition which sometimes is usually just a symptom of misalignment in other areas of your body. Triggerpoint therapy is one of my main methods of treatment. Triggerpoints are usually the cause of most pain but they are often not where the pain is. Other areas of the body create stress or misalignment of the body which causes strain on the muscles. Treating the triggerpoints while working with your posture can help get you back on the road to pain free living.